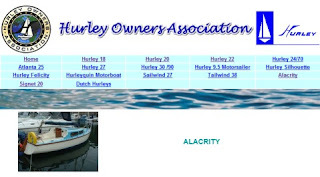 Alacrity sailboat: Vivacities in disguise on Hurley page? Vivacities in disguise on Hurley page? The blue 'Alacrity' you refer to is indeed a 'Vivacity'. I know because I own it. She is alive and well and living in Newlyn harbour, Cornwall. Planning a trip to the Scillies next year.